We've taken modern Scandinavian design and made it our own. The contrasting colours give Edelweiss a contemporary feel, but with plenty of personality. Make your work space more inviting. Power up the laptop and pull up your office chair. With 3 storage drawers, you can keep the table surface clear and organised. 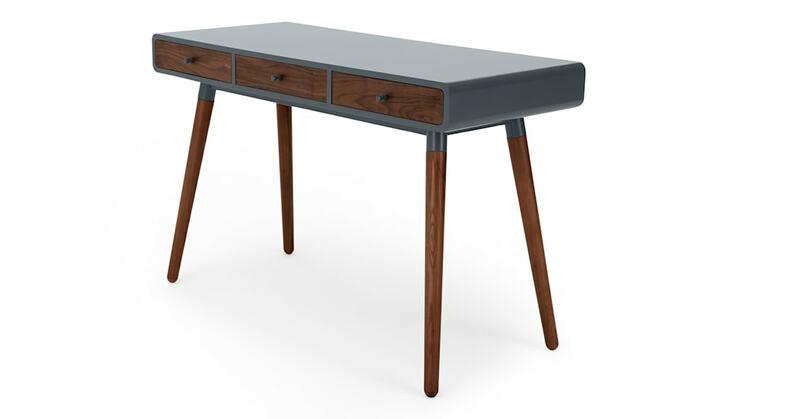 Create a sleek mid-century look with this vintage-inspired range as your base. Original design at an affordable price - Edelweiss is great value.